The Rundown Timer is perfect for those of us who leave the house wondering if they have left their hair straighteners , iron or any other appliances on. The Rundown Timer will switch off the mains power to your appliance after a preset period of 30 minutes providing a safety feature should the appliance be accidentally left on. 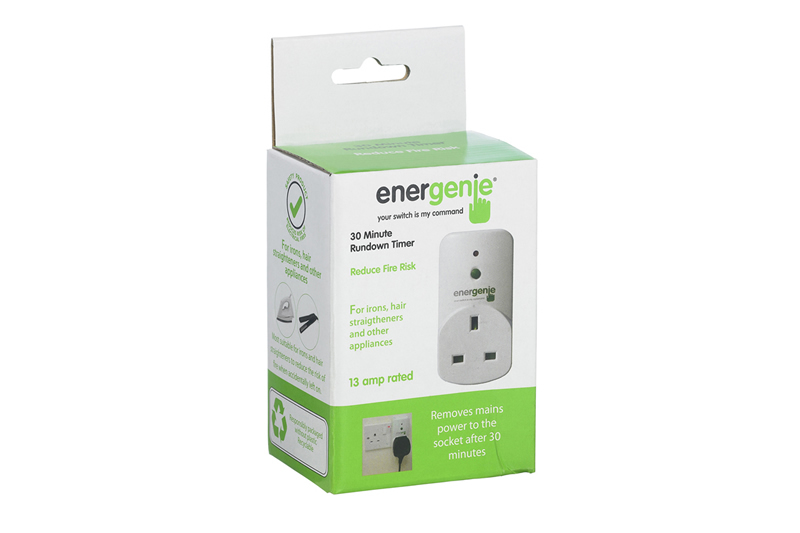 Energenie’s 30 Minute Rundown Timer will not only appeal to safety conscious parents, but also to eco chic teenagers. The Rundown Timer is perfect for those of us who leave the house wondering if they have left their hair straighteners, iron or any other appliances on. Without doubt, Ireland consumers have become increasingly aware of green issues in recent years. 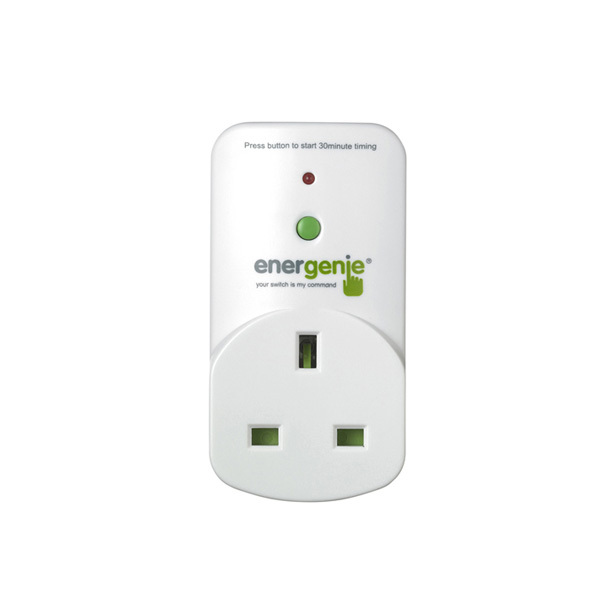 However, there are still those who associate environmentally-friendly with time consuming hassle: Energenie removes the excuses by making it easy and achievable to help the planet, be safer in your home and to save money.